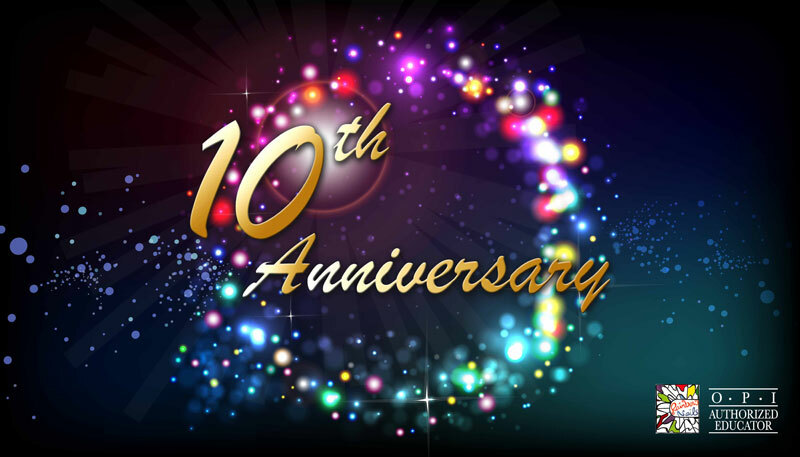 We are celebrating our ten year anniversary this month. Please come by the Nail Salon on Thursday 16th October any time between 4-8pm. We are hosting an Open House event to thank all our clients and business partners for your loyalty and support. We will have champagne and canapés, complimentary beauty treatments and gift bags for everyone. Please RSVP to let us know if you can come and have a glass of champagne with the Rainbow Nails Team!